Known worldwide for sparkling beaches and water, these attractions were but a pretty side element at the first Latin American Go Congress in Cancun, Mexico from October 13th to 15th. Sixty-four players from 15 countries played in the six-round 19th Ibero American Go Championship (CIG). After a slightly delayed start on the first day (familiar to many U.S. Go Congress participants), TD Milosh Trnka Rodriguez kept the McMahon event moving smoothly. Time limits were short to fit two rounds each day before lunch – generally 35 minutes per player plus 5 x 30 overtime. The overall winner was Kim Hyuneoo of Korea. 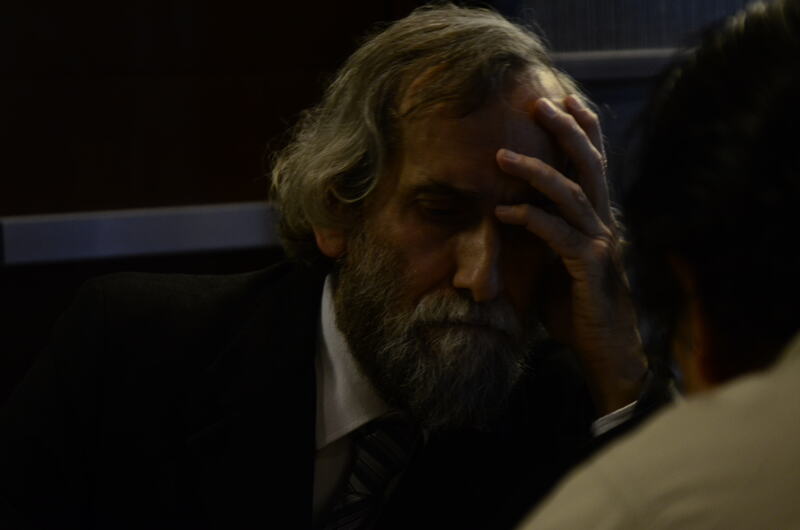 The Ibero Championship (limited to citizens of the Ibero-American member states) was won by Fernando Aguilar 7d (below left) of Argentina, the perennial top player from the region. The first Latin American Youth Go Championship was run by Siddhartha Avila of Mexico and had 16 players from six countries divided in two categories. Division A was won by Soomin Oh 2d from Korea and in Division B Shanti Ramírez 12 kyu from Mexico came out on top. In the first Pandanet Go Latin American Team Championship (PGLATC) Mexico bested guest Argentina in a 3-board match with a 2-1 score. With generous international support, six pros attended: Enda Hideki 9P and Komatsu Daiki 2P from Japan; Cho Hye-yeon 9P and Youngshin Lee 5P from Korea; Mateusz Surma 1P from the European Go Federation; and Eric Lui 1P from the AGA with funding provided by the American Go Foundation. After the main games, the pros provided quick game analysis and each afternoon half of the players took on the pros in simuls. Few of the amateurs won! There were lectures on pros games (including an especially lively one analyzing a victory over a fellow 9P by Cho Hye-yeon, 9P) and sessions on teaching go by a leading Korean expert from KIBA, Mr. Kwon Kapyong 8P. And, of course, there was lots of casual play and discussion of games whenever players sat around a board. The evening events included Crazy Go (with 19 variants) on Friday night run by AGF President Terry Benson. Rengo Kriegspiel was run for the first time in Spanish. As usual, everybody won. On Saturday evening, The Surrounding Game film was screened. Each of the three evenings included a round of the second Ibero-American Pair Go Championship – with many of the pros and the Congress Director playing – won by Samy Suastegui, 8k of Mexico and Youngshin Lee, 9P of Korea. The Emporio hotel provided a classy setting for the event. There was an included opening dinner at the hotel, box lunches each day, and plenty of coffee and water. The closing dinner at Porfirios had a classic Mexican atmosphere – good food and mariachi music. There was even a little impromptu singing of Go songs. And a new one – in Spanish – written by Benson and Ester Monroy added to the canon. 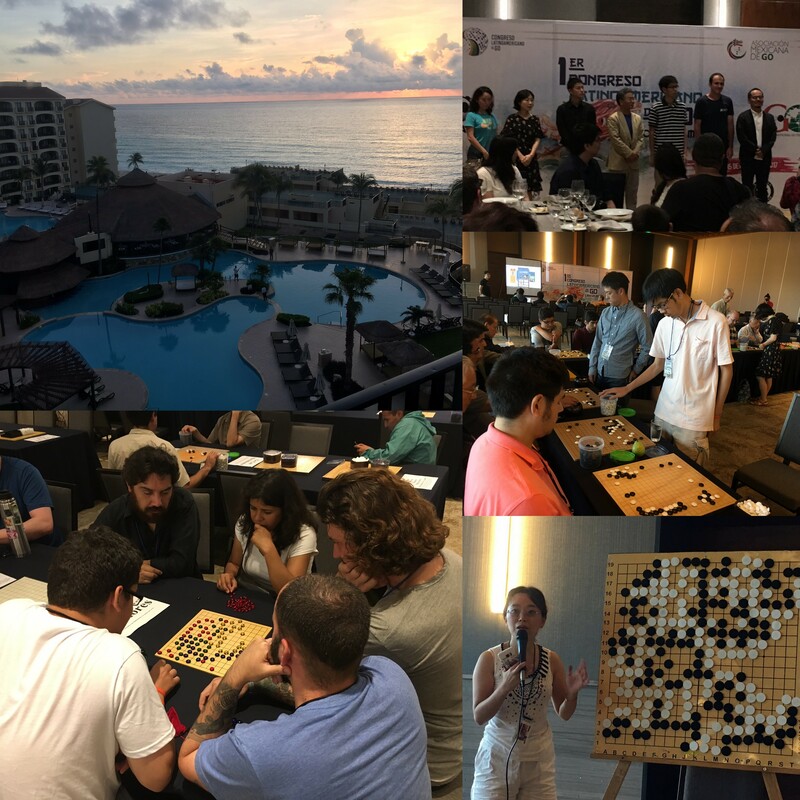 Funding for the event came from the International Go Federation, Pandanet, Nihon Ki-in, Korean Baduk Association, American Go Association, American Go Foundation, and Mexico’s National University UNAM. The Mexican Go Association Congress team led by Emil Garcia and including Marco Hernandez, Temilotzin Ibarra, Ester Monroy, Dafne Rios, with additional support from UNAM students staff and media team gave a good start to the tradition of Latin American Go Congresses. The site of the 2018 event will be announced before the end of the year with Bogota, Colombia and Buenos Aires, Argentina the likely candidates. For those who like an international Congress diet, there is a new hearty entrée on the menu.